The question of the materiality of the book has surprising consequences when applied to dramatic writing. W.B. 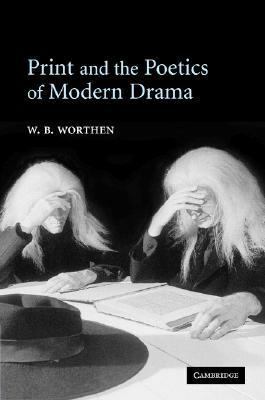 Worthen asks how the print form of drama bears on how we understand its dual identity--as play texts and in performance. Beginning with the most salient modern critique of printed drama, arising in the field of Shakespeare editing, Worthen then looks at the ways such playwrights and performance artists as Bernard Shaw, Gertrude Stein, Harold Pinter, Samuel Beckett, Anna Deavere Smith, and Sarah Kane stage the poetics of modern drama in the poetics of the page.